Under it all though, Lauren’s heart is bruised. Her boyfriend thinks she’s crazy and her best friend has issues of her own… so when Lauren realises she’s facing every teenage girl’s worst nightmare, she has nowhere to turn. Maybe she should just give in to everything. Be like other girls. That’s all so much easier … right? Magnificent! It all-but quivers with righteous anger! This is a book that demands to be read....A must-read for young socially aware and newly intrigued minds alike. A passionate, authentic, tough read but very important nonetheless. 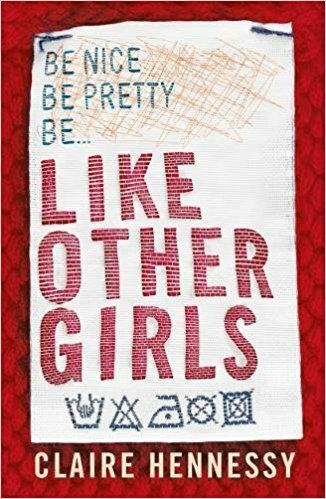 I was impressed with the writing style (and I learned a fair bit too)... a conversation starter for young women. t is difficult to imagine a more difficult authorial task than constructing a school story that also confronts issues such as sexual identity, moral law, transgender issues and parental responsibility. Yet somehow Hennessy has succeeded. High school librarians please take note.